Join Nathan Abbott for a video tour of 153 Blakely Drew Boulevard, Santa Rosa Beach, FL 32459. This move-in-ready home is a 4 bedroom, 4.5 bathroom, 2,408 sq ft Morningside floorplan at Paradise Cove. Paradise Cove is a new cottage style community in a prime residential location in South Walton County, Florida developed by Boswell Builders. 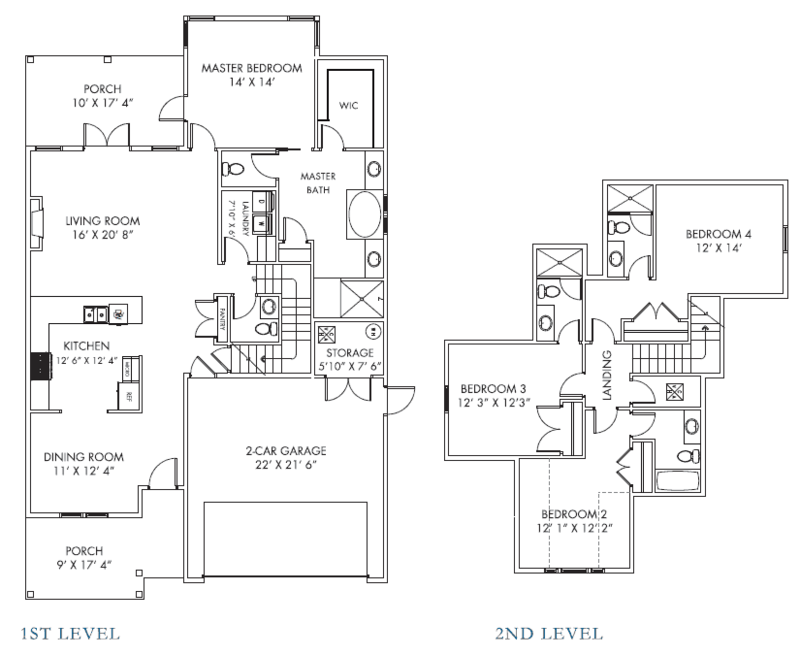 The Morningside 4-bedroom floorplan is one of several currently available floorplans at Paradise Cove. This spacious 2,408 sq ft plan features four bedrooms and four and one half bathrooms on two levels. See all details for 153 Blakely Drew Boulevard – click here. This Morningside floorplan offers 4 bedrooms, 4.5 bathrooms and 2,408 square feet. Homes at Paradise Cove feature upscale construction with 2” x 6” stud framing, impact windows, oversized 8’ interior doors, high end interior finishes, a master bedroom on the ground floor of every floorplan and an oversized 2-car garage. With prices starting in the mid $300’s, Paradise Cove offers unparalleled features for this price point and outstanding benefits including a close location to the Gulf of Mexico, Choctawhatchee Bay and amazing outdoor activities along Scenic 30A. All homes at Paradise Cove include many standard features that other builders consider upgrades, including a living room fireplace, granite countertops, wood flooring, tile showers and more. See a full list of included standard features. Upgrades to the Pineview floor plan include appliance upgrades, flooring upgrades, audio upgrades and more. Learn more about upgrade options at Paradise Cove. Find details about Paradise Cove, available floorplans, pricing and more at www.MyParadiseCove.com. © The owner of this copyright will pursue all remedies under law against any designer, contractor or any other party who reproduces this floor plan in whole, part or who in any way infringes upon the ownership of this copyright without the prior written consent of Boswell Properties of Northwest Florida, Inc. Floorplan rendering is an artist’s conceptual rendering intended to provide a general overview. Plans and specifications are subject to change without notice. The materials, features and amenities described and depicted herein are based upon current development plans, which are subject to change without notice. Void where prohibited by law. All uses not yet constructed are subject to change in size, use or location. Exclusively marketed by ResortQuest Real Estate, The Nathan Abbott Team.